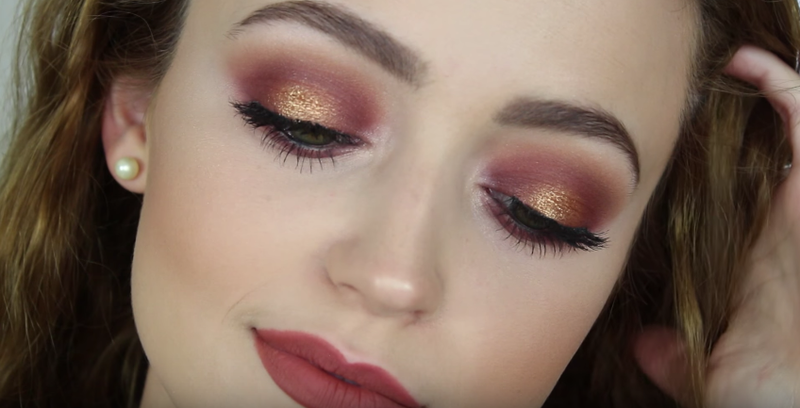 This golden burgundy look is totally inspired by KathleenLights' new video last night. I tried to recreate her look but I just couldn't wait for my Anastasia Modern Renaissance Palette to arrive so I used my Violet Voss Holy Grail Palette instead as it has very similar shades that Kathleen used in her video. This is the look she created. Of course, I'm not a professional MUA so I tried my best to recreate her work. 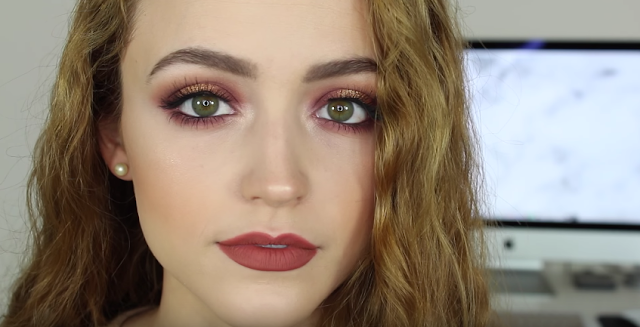 This look is so beautiful and I just love the pop of gold in the center. 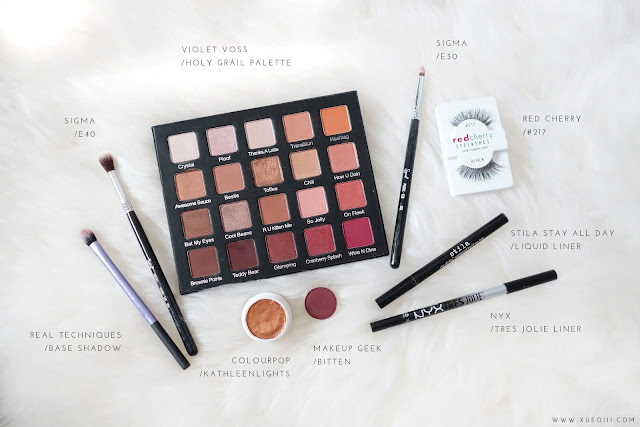 I did not have a purple shadow, so mine has more wine red and burgundy tones. I know this is very very similar to another look I created recently but I will definitely be doing different makeup looks soon. Here's all the products I used to create this look. Blend Violet Voss Bestie into the crease with Sigma E40. Then followed by Transition. 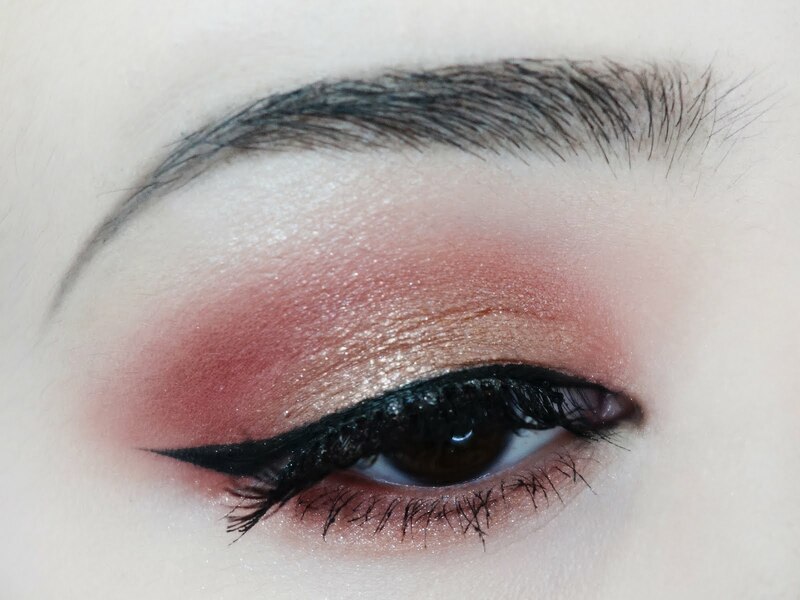 Darken the outer and inner corners with Makeup Geek Bitten using Real Techniques Base Shadow Brush. Then slightly blend it out again with Bestie. Layer Violet Voss Wine Room above Bitten. Pat Colourpop Kathleenlights on the center of the lids, then blend out the edges with a bit of Bitten. Highlight brow bone and inner corners with Violet Voss Crystal and Ploof. 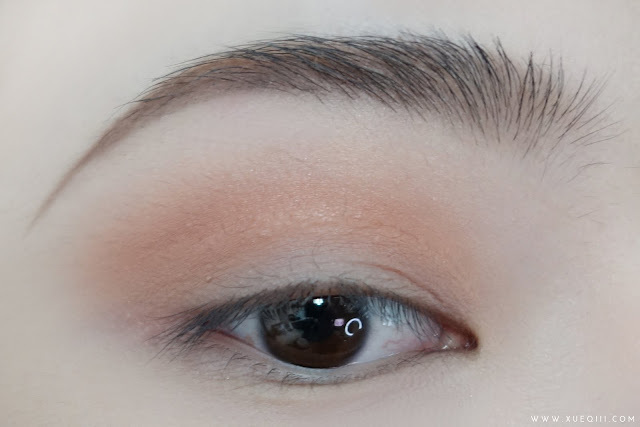 Apply the lower lash line with Bestie, Transition, Bitten and Wine Room using Sigma E30. Tight line your water line with NYX Tres Jolie Liner in Black and draw wing liner with Stila Stay All Day Liquid Liner. Apply any lashes you like, here I used the Red Cherry Lashes #217 and Essence Lash Princess Mascara. I just found your blog and it is WONDERFUL!!! So professional and informative. Your tutorials are very well done and I really loveo the detail you go into. They are great for a beginner like me.